This week’s Torah portion, Vaera, opens with Moses in a state of doubt and despondency. His initial challenge to Pharaoh only makes things worse for the Israelite slaves, thereby provoking the enmity of the very people whom God has tasked him to deliver. Understandably, then, Moses confronts the One who called him to this deeply frustrating mission. God’s response is, at first, most curious: “God replied to Moses and said to him, ‘I am the Eternal One. I appeared to Abraham, Isaac, and Jacob as El Shaddai, but my name, YHVH, I did not make known to them.’” What kind of answer is this? How does it address Moses’ despair? What does any of this have to do with God’s names? Yet God’s words do, in fact, make sense—and offer comfort—when we understand them through the lens of Moses’ first encounter with the Divine at the Burning Bush just a few chapters earlier. In that section, God reveals to Moses the related name, Ehyeh Asher Ehyheh, I will be who I will be. To which Moses humbly responds, “Who am I to go to Pharaoh?” God replies: “I will be with you. . . And this shall be for you the sign that I have sent you.” This exchange is also a bit mysterious, for in the text, God never explicitly reveals to Moses what the sign is. Here Levi Yitzchak of Berditchev offers a brilliant reading. As Rabbi Lawrence Kushner puts it, “God does give Moses a sign, says the Berditchever. And it has been right there in plain sight all along. From his native humility, Moses cannot imagine he is worthy of such a holy task. This is why he says, ‘Whom am I that I should go to Pharaoh and lead the Israelites out of Egypt?’ Precisely this fear of inadequacy is the source of Moses’ true spiritual authority. It is not an expression of unworthiness; it is a necessary qualification and precondition for the job of any would-be Jewish leader.” In other words, Moses’ fear that he is unworthy is precisely the sign that he is the right leader for the task. As Kushner notes, God effectively choses Moses because he is able to contain his ego. Now, in Moses’ hour of darkest anguish, God reminds him of this source of strength. By proclaiming the Divine Name, the Holy One reiterates to Moses: “I’m God, you’re not.” And this is a source of deep consolation. 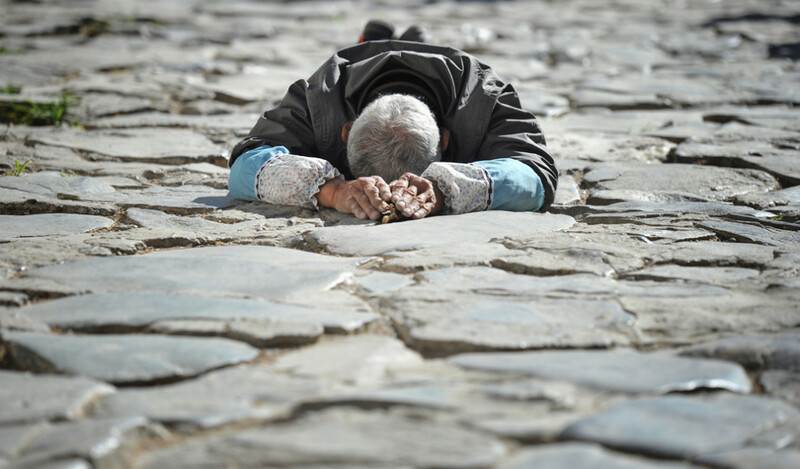 Genuine humility is not self-abnegation; it entails knowing our proper role in the larger drama playing out around us. As Mussar teacher Alan Morinis it: “No more than my place, no less than my space.” This knowledge brings comfort through a realistic rather than exaggerated sense of responsibility. something burning in every bush and tree. And I believe in God, and God ain’t me. Stood on mighty mountains and gazed across the wilderness. . .
Like Socrates, Earle recognizes that true wisdom starts with acknowledging how little we know. Checking our egos. Whether or not I believe doesn’t matter at all. . .
And I believe in God, and God is God. Like Moses—and Steve Earle—we find strength and sanctity in the proper perspective afforded by true humility. Our Torah portion, Shemot—which opens the book of Exodus—is timely in this political season, as it describes the world’s first recorded act of civil disobedience. When an immoral tyrant—in this case, Pharaoh—issues an unjust decree, the midwives Shifra and Puah actively resist, bravely refusing to kill the Hebrews’ baby boys. Of course it is easier to recognize the heroism of dissidents after the fact. 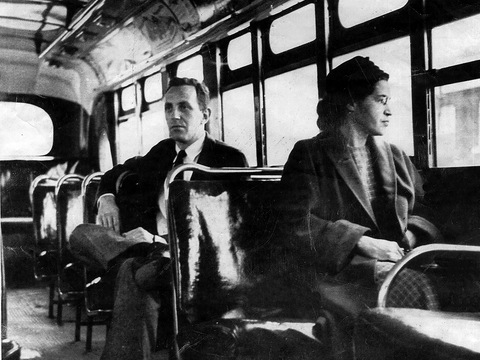 Today, when nearly all Americans honor Martin Luther King and Rosa Parks, it is easy to forget how controversial they were in their own time. So, too, with Shifra and Puah; as I imagine the story, our bibilical heroines were probably reviled by most of their Egyptian peers. The melody is simple, even childlike and so is the rhyme scheme; the whole piece is, ironically, awfully nice—but the message is urgent. Thank God, in the face of brutal injustice, Shifra and Puah were not nice. Neither were Rosa Parks and MLK. Nor should we be now, in confronting the challenges of our own time. If that is freedom’s price, we don’t mind.
. . . But Joseph said to them, “Do not be afraid! Am I in the place of God? Even though you intended to harm to me, God designed it for good, in order to preserve a numerous people, as God is doing today. So do not fear—I myself will provide for you and your little ones.” Thus he comforted them, and spoke kindly to their hearts. Holding a grudge is like swallowing poison and expecting the other person to die. When Joseph first encounters his long-estranged brothers in Egypt (unbeknownst to them), he appears to revel in some revenge. Remembering that they had sold him into slavery for twenty pieces of silver, he deviously sets them up with money, planting, first, silver coins in their provisions and, then, a silver divination cup in Benjamin’s bag—thereby framing them with accusations of theft. Money was the vehicle for his brother’s betrayal; now it is the means for Joseph’s vengeance. So much emotional energy, recalled with such precision! There is (self-)righteousness in victimhood.
. . . Who’s done whining now? Than I had cared to remember? Like Joseph, the mature dreamer, Ms. Morissette comes to see that forgiveness is not a sign of weakness but a liberating source of strength. Vengeance shackles us. Forgiveness sets us free: Clean of slate and resolved. Who is the hero of the Joseph story, which comes to a climax in this week’s Torah portion, Vayigash? The most obvious choice is Joseph himself, who, upon revealing his identity to his brothers, forgives them for the cruel betrayal they showed him as a youth. Yet there is another, more flawed and less likely, candidate: Joseph’s older brother Judah. The Rabbis refer to Joseph as HaTzadik, “the righteous one.” He is a powerful and important figure in our tradition. But his righteousness renders him a little remote and distant. It is hard to relate to, and engage with, Joseph. Most of us connect more easily with Judah, the deeply imperfect man who wrestles with his moral choices and grows from his struggles. The midrash recognizes his greatness by pointing out that his name, Yehudah, contains all four letters of God’s Name, (yud-hey-vav-hey)—and is the origin of our shared name, Yehudim, Jews. Judah is also the progenitor of King David and, by extension, the messiah. The messianic hope for an age of peace, justice, and compassion can only be realized if we, collectively and individually, commit ourselves to the kind of self-reflection and spiritual growth that we learn from Judah. Soldiers keep on warring. . .
Like Judah, we frequently fail—warring, lying, dying—and yet we keep learning. The human calling is to grow from our mistakes. 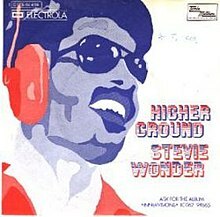 Till I reach my highest ground. This could be Judah’s theme song—and ours. We fail, time and again—and through our failings, with openness and courage, somehow find our way. Let us be grateful for second and third chances—and more—and strive, through them, to reach highest ground. Indeed, because it is so hard-won, that ground is even more exalted. As the Talmud teaches: “Those who sin and repent stand in a higher place than those who never sinned. We feel that in our bodies with Stevie Wonder’s song, where the funky groove moves inexorably toward that aspirational chorus. The greatest heroes are not born but are always in the process of becoming. This is Judah’s—and Stevie’s—blessed legacy for us. The Jew-ville Jews felt overcome by the darkness. Would a hero arise who could still save the day? Just to be is a blessing, let’s be glad we’re here. So let your light shine and the tyrants will go! And Jewville burst into a Chanukah song.